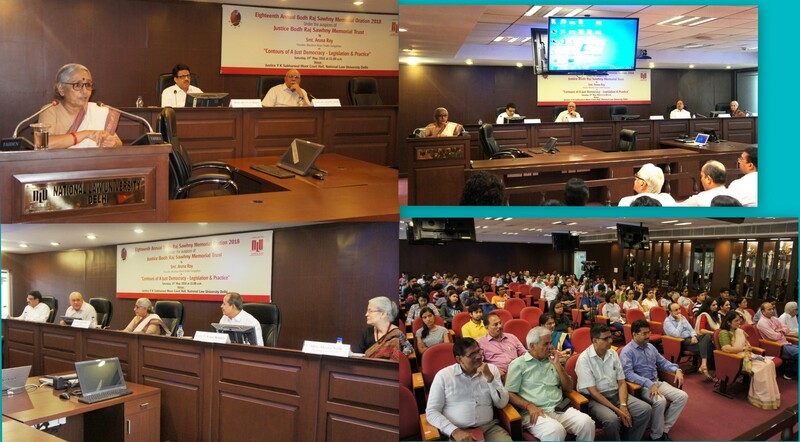 The National Law University, Delhi organized 18thAnnual Bodh Raj Sawhny Memorial Oration by by Ms Aruna Roy (Founder, Mazdoor Kisan Shakti Sangathan) on the topic, 'Contours of a Just Democracy - Legislation and practice' on Saturday, 19 May 2018 in Justice Y,K. Sabharwal Moot Court Hall, NLU Delhi. The oration was coordinated by Mr Sidharth Dahiya (Assistant Registrar).